Use size 11 seed beads, size 8 seed beads, Tila beads and Half Tila beads to create a single band or a wider double band. The pattern includes step-by-step instructions for both, as well as information and charts for creating variations by substituting Tila beads for Half Tila beads along the outer edge. 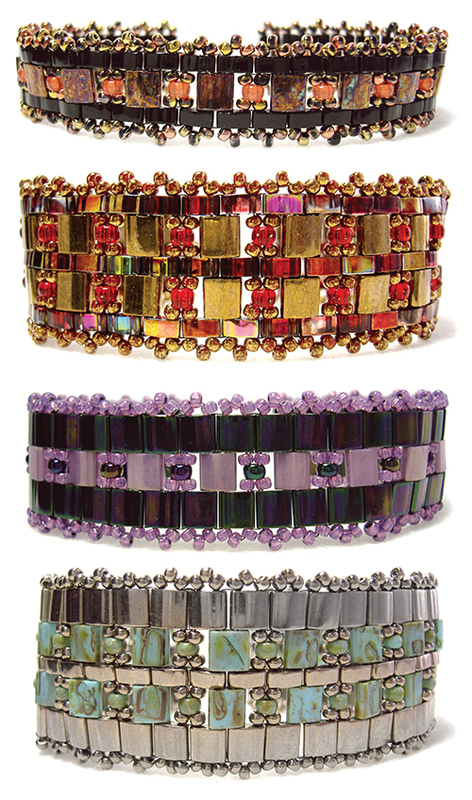 Extremely versatile and fun pattern, especially if you love Tila beads.